St. Paul’s #14 is pleased to welcome 3 new brothers into our gentle craft. The officers of the lodge performed the degree admirably and hopefully will leave a lasting impression on our brethren. 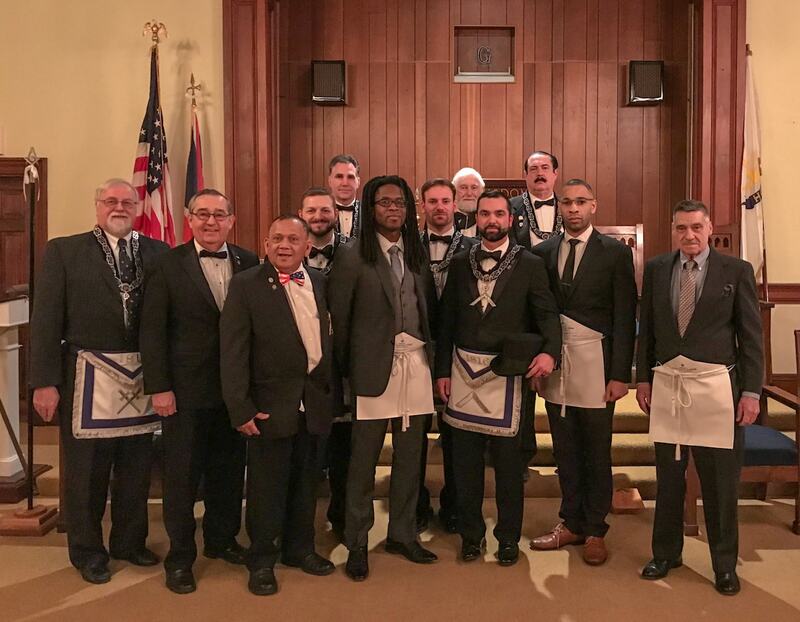 In addition to the degree the lodge was able to welcome our newest Master Mason as he signed the by-laws of the lodge and became an official member. Following a standing ovation Bro. Bernier was given a pin and trowel and was reminded to continue to spread the cement of brotherly love and affection and was thanked for his work on the new website and for his assistance with the EA degree. It was an enjoyable night and we hope to see you soon! Copyright 2018 St. Paul's Lodge. All rights reserved.